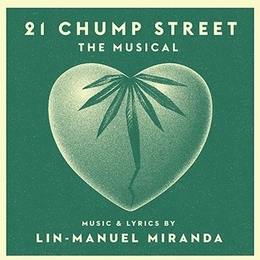 Students from the Sinclair Theatre program will perform 21 Chump Street by Hamilton creator Lin-Manuel Miranda at 12 Noon Thursday, May 25 and Friday, May 26 in the Black Box Theatre on the third floor of Building 2, near the end of the ramp leading to Building 10. The 15 minute performance is free, and seating is on a first come-first serve basis. Doors open at 11:30 a.m.
Additional free performances take place 7:00 p.m. Wednesday, May 24; 7:00 p.m. Thursday, May 25 and 4:00 p.m. Friday, May 26.